Authorized Dealers are consultants for nonprofits and associations of nonprofits who are authorized to use and sell M. L. Donnellan products and receive a commission for sales. Consultants pay a one-time membership fee and associations pay a renewable membership fee good for three years. Authorized Dealers are expected to maintain and support the highest levels of integrity and professionalism in their work with the nonprofit sector. All are highly experienced and knowledgeable and receive referrals from M.L. Donnellan. The states listed indicate only the headquarters of the Authorized Dealers. They serve in multiple states. 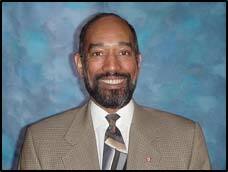 Lovell Mosely served in various local United Way communities (Seattle, WA, Santa Clara, CA, San Francisco, CA) and at the national office of United Way of America (UWA), where he served in the National Corporate Relations division, Consulting Services and Field Relations. When UWA became United Way Worldwide, he served as Vice President and Western Regional Director. He retired after 30 years of services and began his consulting services. Previous professional experience included: purchasing manager, contracts manager and continuous quality improvement coordinator for Kaiser Aluminum and Chemical Corporation. Mosely was the first Authorized Dealer for M. L. Donnellan, beginning in 2011. Ron Soto Consulting, based in San Jose, CA, is an independent consultant offering high quality, cost-effective management consulting, training and development services to public and private nonprofit organizations. Soto considers himself blessed to combine his personal mission with the career path for more than 35 years. He has a rich and diverse education and professional track records, including executive, management, service delivery and consulting experiences with county and city governments, United Way agencies, and private nonprofit agencies. In these capacities, he has assessed and analyzed organizational and community problems, planned effective, and evidenced-based strategies to address issues or expand services. He has played a key role in raising millions in needed funding resources, bringing aa rich professional background of perspectives, knowledge, expertise and consulting solutions to clients. Soto earned master’s degrees in Social Work and Public Health from the University of California, Berkeley. Other professional credentials include: Certified Fund-Raising Executive, California State Community College Instructor Credentials in Public Service and Administration, and California State Community College Counseling Credential and training in Evidenced-based Youth Services Practices. 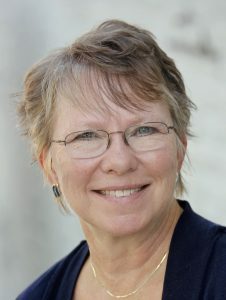 The president of Triple Impact, LLC, Bea Northcott offers a unique blend of marketing and human resources experience, mixed with training, facilitation and writing skills to help organizations grow. She has served in a variety of roles for nonprofit organizations, including serving as a board member, executive director, staff member and consultant. As a consultant, Northcott works with nonprofits on board development, strategic planning, outcomes measurements and program implementation. Northcott is a graduate of Butler University, Kennedy-Western University, and Leadership Johnson County. She currently works with Indiana United Ways (IUW) to support their training programs and is a consultant for IUW’s Indiana Nonprofit Resource Network. She has implemented Central Nine Career Center’s Governor’s Work Ethic Certificate program and is a certified Challenge Course facilitator for the Indiana FFA Leadership Center. She joined the Authorized Dealer program in 2018.